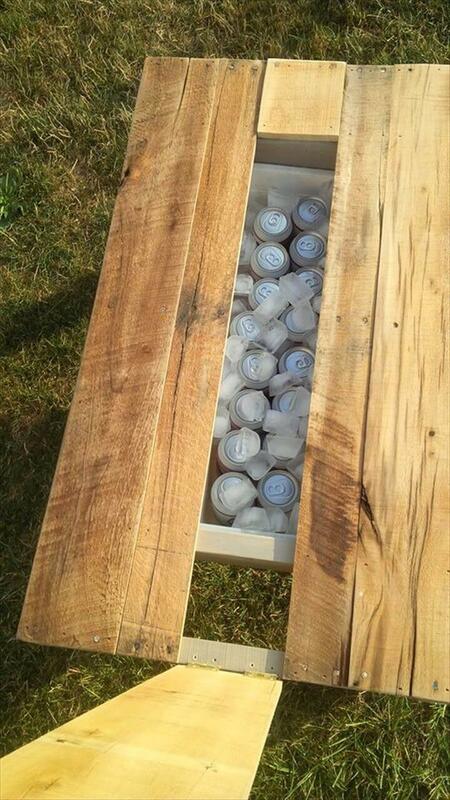 If you are imagining parties at outdoor with a couple of friends or young family members then we have really got here something special for outdoor or party lovers, would be a perfect summer gifts too to enjoy the cool beers at outdoor to feel less hot! 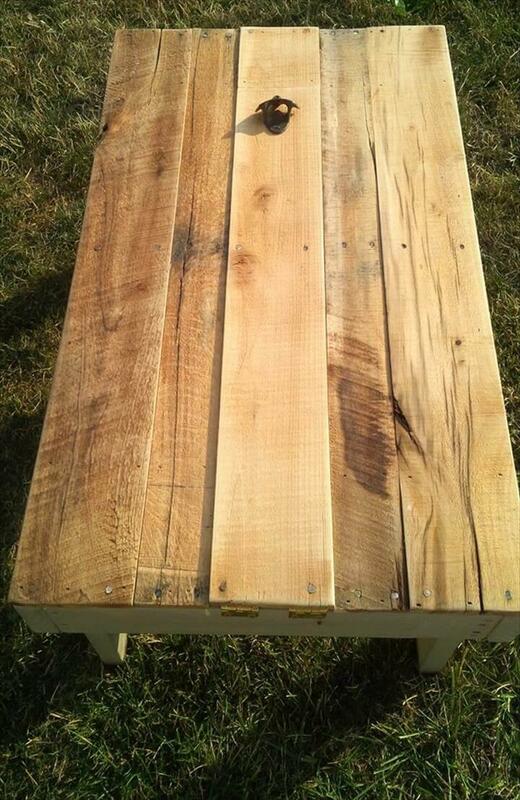 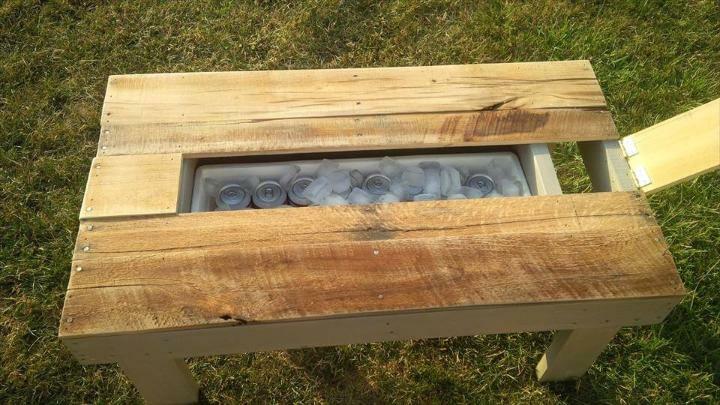 This gift is this DIY pallet secret beer cooler & outdoor coffee table, is all stable due to hardwood pallet composition and plastic beer cooler has just secretly been inserted to top! 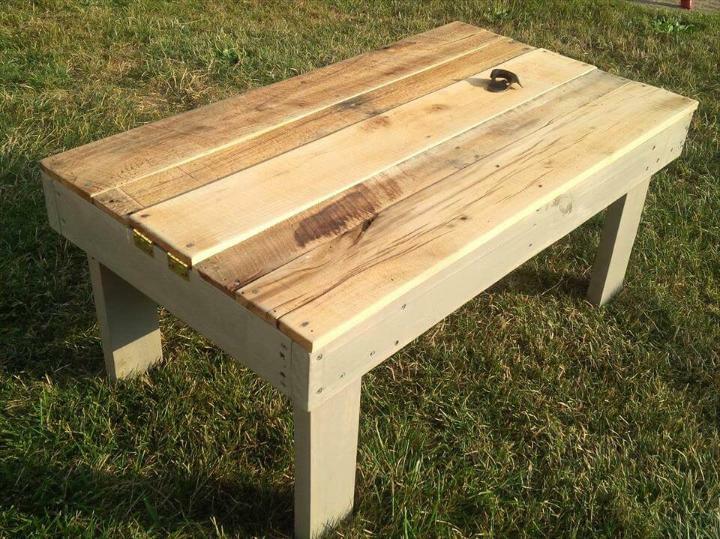 Get in touch with Stevensville Pallet Project on Facebook for more info and get one for you, and here is a short but creative story about the construction given by the Stevensville Pallet Project! 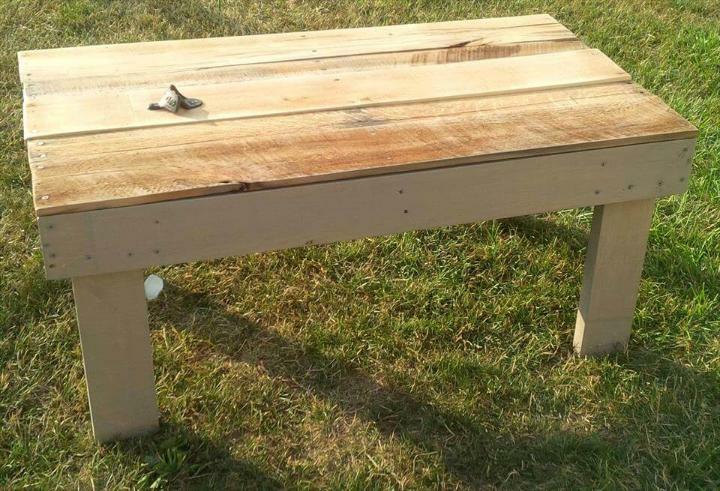 “Our friends at Pallet furniture will be upset that we didn’t take “building photos” but seeing as this wasn’t a planned build, we just couldn’t stop! 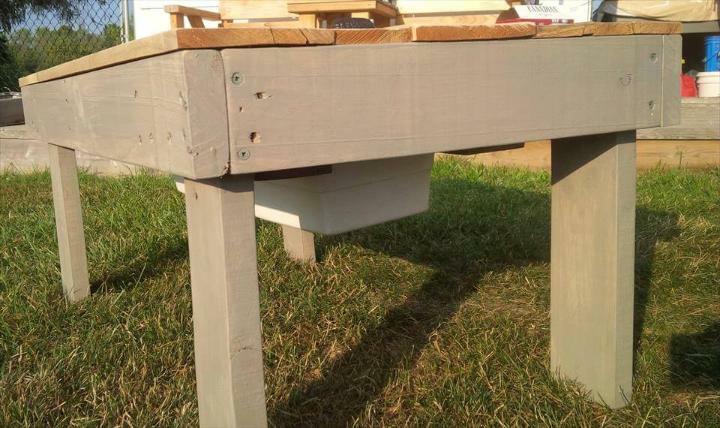 Majority of the table has been stained with weather proof Gray to protect from the elements, the top will be clear coated to keep the brilliant look of the rustic top. 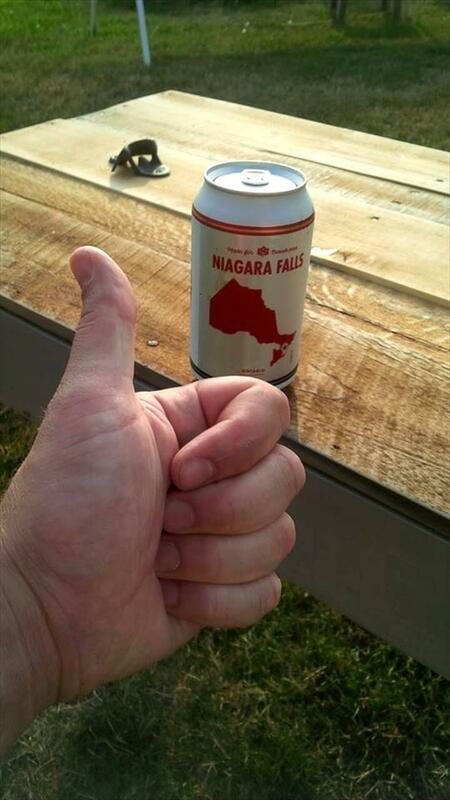 Table holds 16 cans of beer with ice (store was sold out of Blue…had to get Canadian). 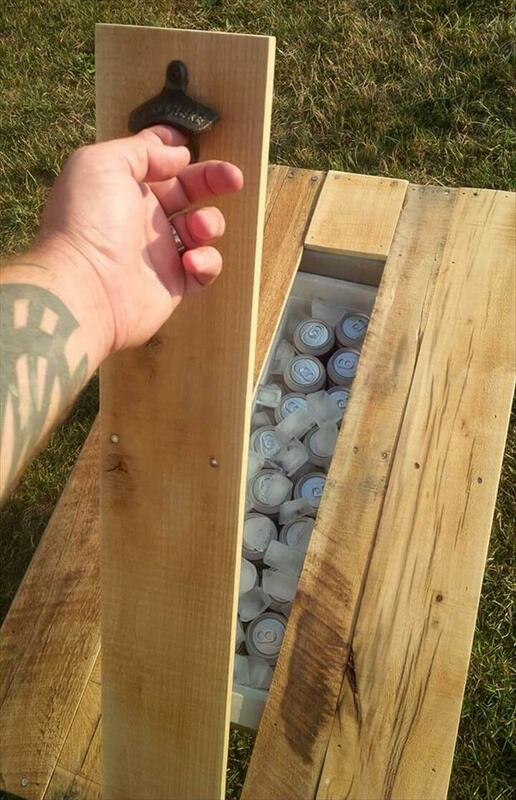 I used a bottle opener for the handle as it looks a little deceiving (I didn’t want people to automatically know it’s a secret beer cooler). 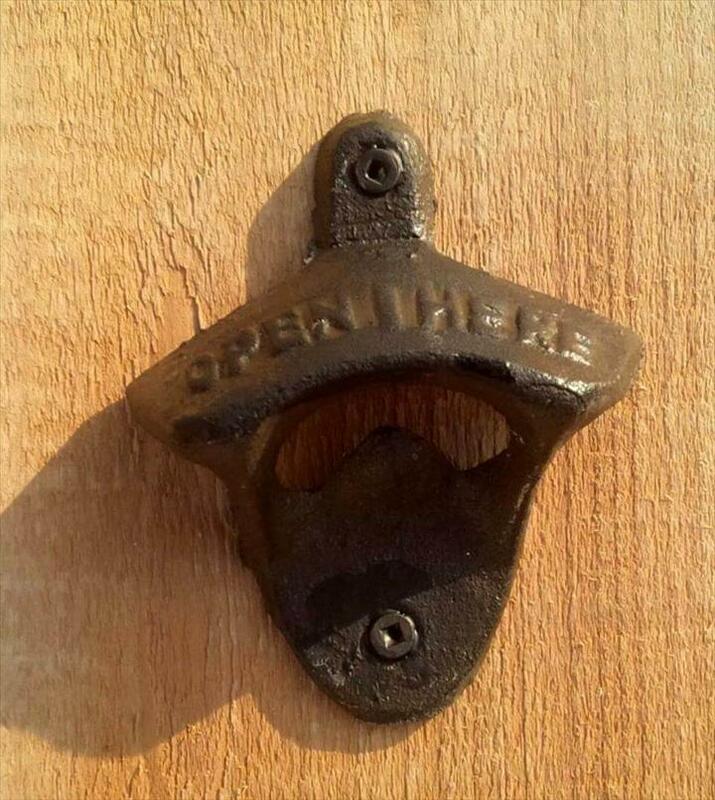 The opener says “open here” which is true, and if you actually need to open a bottle, the pallet slat it’s attached to will swing open 90 degrees. 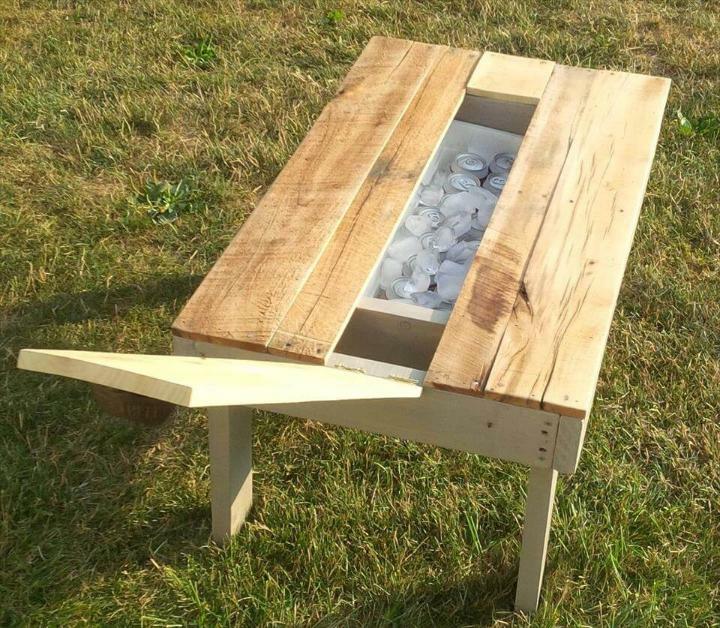 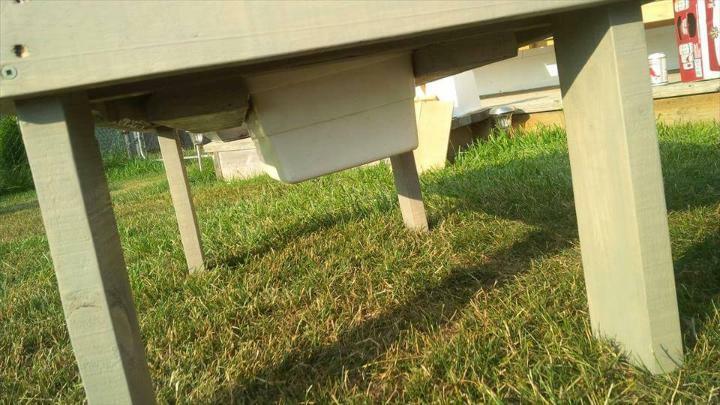 A recycled plastic planter box was used as the beer trough, complete with drainage cap.